I have never really been a fan of raisins. When eating an oatmeal raisin cookie, I normally take the raisins out and eat the cookie. Kind of a waste. 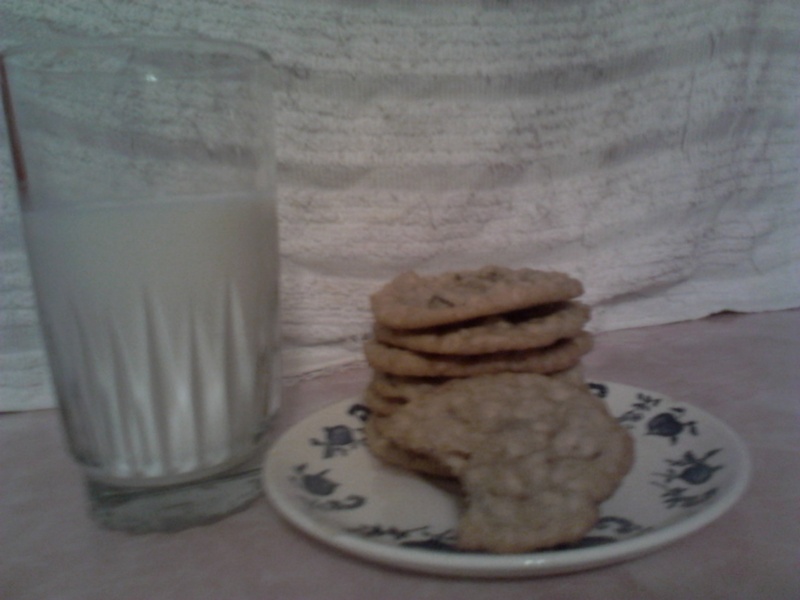 So, the other day I had a taste for oatmeal cookies but did not just want to eat them with the oatmeal only. 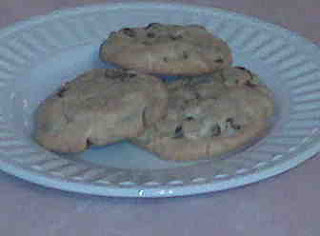 I decided to make them with chocolate chips. So glad that I did! They were so yummy! I tweeted about them and it was suggested to me to try them with bananas. Bananas? Hmmm...sounds very interesting. I will give it a try this week and let you know the out come. Here Comes the Bride...I Mean Cake! A few months ago I made my FIRST wedding cake for my co-worker Jennie's wedding! Boy was I was a ball of nerves. At first she said she and her groom just wanted anything chocolate. Something simple. Cool...I can do that. Then they changed it to chocolate cake with raspberry filling and cream cheese icing for their cake. 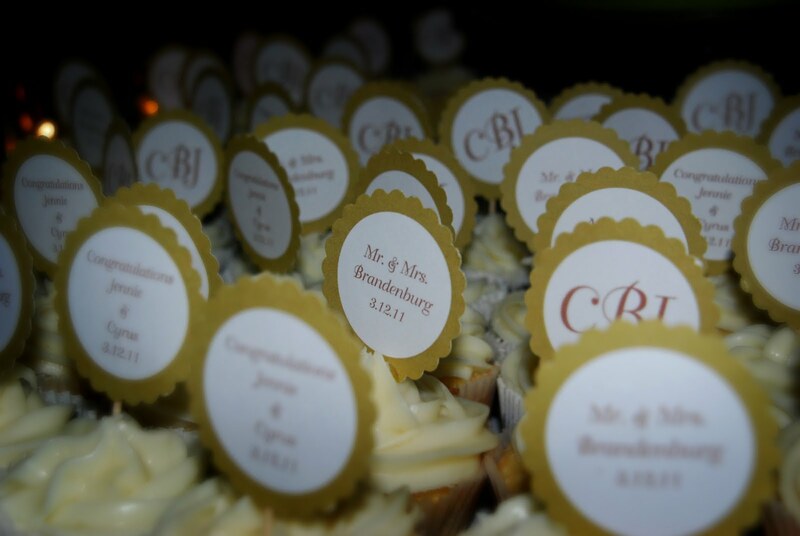 Also, basic chocolate and vanilla for the cupcakes for the guests. No sweat! Oh, and she wanted a fern on the cake to match her invitations. Ok...I can get that done with no problems. Long story short, I sweated a lot when it came to that fern! I just didn't like anything that I tried. I tried it with fondant. I tried icing sheets. I tried icing it on the cake. Nothing worked for me. So, I called a local baker who owns a bakery and supply store. She is a wealth of information and doesn't mind sharing her wisdom with us novices. Well, she told me to use a silk fern. Simple as that. So off to Michaels I went. Here are pictures taken at the wedding by the photographer. I didn't like the ones I took that much. Huge thanks to my creative 7 year old assistant Naomi for arranging the cuppies! 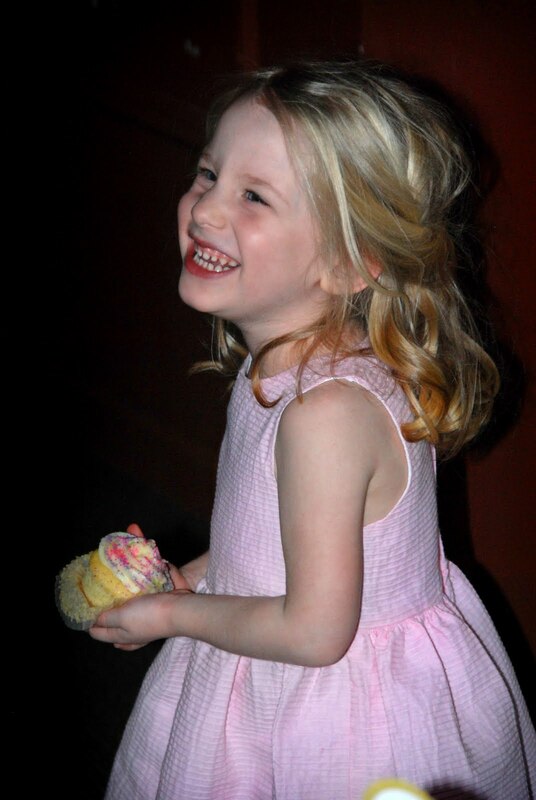 Sweet Hudsyn had to have her own special cupcake with pink, purple, and green sprinkles! 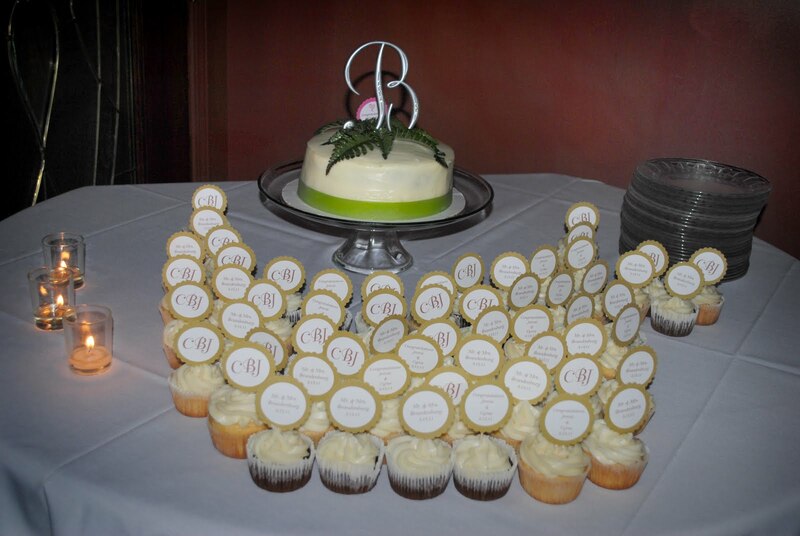 ﻿I enjoyed my first wedding cake experience and look forward to many more. Yup, I will continue to practice, practice, practice! 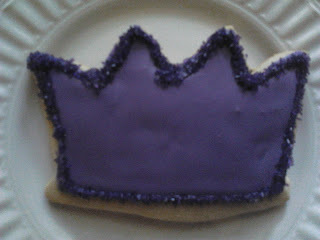 Ok, so my cousin in Alabama texts me and asks for me to make purple crown cookies for the girls group at her church. That would mean that I would have to ship the cookies! Eeekkkk!!!! I have never shipped cookies or any perishable product for that matter. So to the University of Cookie I go! I watched the vlog and went shopping. After I bagged, wrapped, boxed, and boxed the cookies again, I prayed. Boy oh boy was I a nervous wreck! I did feel a little better once I got them out of Michigan and on their way to Alabama. Once the cookies arrived, my cousin let me know that there were only a couple of casualties. Whew! I was not happy about the broken cookies but I was sure happy that they all did not break and made it to her on time. Would I do it again? Yes! My cousin said that the cookies were a hit and the girls loved them. Thanks for stretching me Veronica. These babies have become a favorite at my office. My co-workers son graduates from college this weekend and she ordered 8 dozen for his open house. Please excuse my picture quality. I am working on getting a new camera. Any suggestions? Well, not much to say this post but will be posting Mother's Day delights soon! I know, I know...it's been a while since my last post. This year so far has been quite a year is all I will say. Look what I have! My very own tile from the gifted artist Renee of Kudos Kitchen by Renee! I have longed to have one ever since I saw the first one she designed and now I finally have my very own. Doin' the happy dance!! Renee designed my after my blog header and boy did she recreate it flawlessly. I love the attention to detail she put into my tile. She is absolutely talented! Prior to tiles she baked and decorated cookies by PAINTING them! And as you can see from my tile, she was not short on talent in that area to say the least! Don't be jealous, you can have one too! 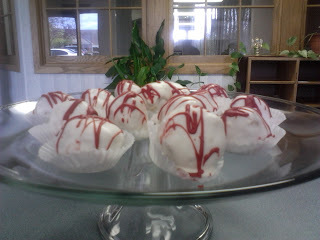 Just go to her blog, Kudos Kitchen by Renee, and let her know what you want. I once asked her if she could paint on a mug and her reply was "Sure, I'll paint on anything that doesn't move..." So, your choices are not limited to tiles only. You will not be disappointed! So, first I will take it to work to brag and display it for a bit. 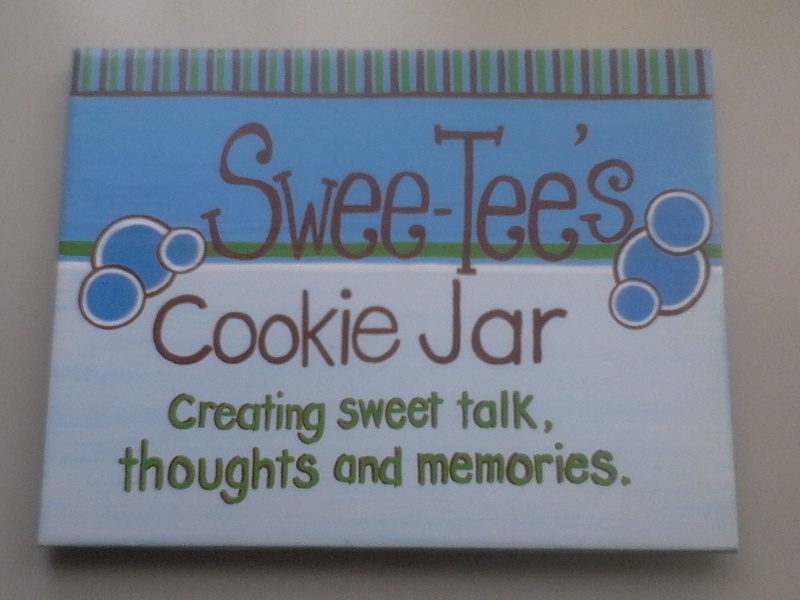 Then it will proudly be displayed in my new kitchen so I can look at it will I bake. Now, let me think of what I can have her do next...hmmmm. While I think about it, you go on ahead and check her out!! Oh yeah! I have been trying to make these babies ever since I saw them on Cookies and Cups. Go and check her out, she is awesome! My plan was to give them out as treats for the new year at my church and work but I ended up sick! Boooo germs!!! Let me tell you, they taste like heaven! 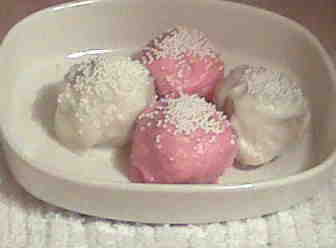 I used the recipe provided on the Cookies and Cups blog but made a couple of changes. I used white Almond Bark instead of white chocolate chips and added cheesecake flavoring. I have to say it, they were AMAZING!! ﻿I am still working on my dip, roll and set technique but I think that they turned out pretty good! I am also looking into getting a better camera! Sorry for the not so good quality pics. Looks like a bowl of ice cream with sprinkles on top!! 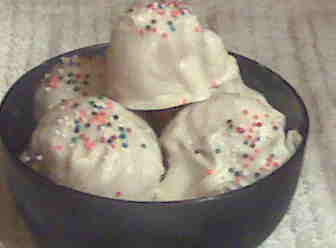 The next time I make them I will use my sugar cookie recipe and white chocolate chips. I have a few flavors in mind that I want to try and can't wait to try them! Do you have any suggestions? All I can say is WOW! I baked a batch of these yummy cookies to take to work for one of many treat days this holiday season. One of my directors, who cannot eat gluten products, often misses out on sweet treats and we couldn't have that! 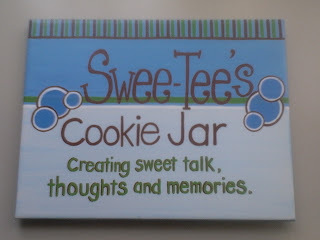 These cookies are surprisingly um mm um mm good considering the small list of ingredients. Even my picky daughter fell in love with them and tried to keep as many from going to work with me as possible. She's so cute!! After mixing the few ingredients, I nervously watched them as they baked, thinking that they would turn out to be thin crisps. I mean, no flour, baking powder, salt, baking soda, what would you expect? But to my surprise they baked up like a normal cookies. They turned out to be nice and chewy. I added Ghiradelli Semi-Sweet Chocolate Chips to this batch for a little extra yum. They were a hit! Preheat oven to 350 degrees F (175 degrees C). Grease cookie sheet. Combine peanut butter, eggs, and sugar and mix until smooth. Mix in chocolate chips and nuts, if desired. Spoon dough by tablespoons onto a cookie sheet. So my new blog design will be installed soon, just in time for the Christmas holiday baking! Christmas is one of my favorite times of the year. I so love being with family and close friends. I love all of the decorations, holiday songs, the food, and most of all that Christmas brings out the giving in people and I am a big believer in giving to others. So, during the holiday hustle and bustle, let's remember the less fortunate. This year, my daughter and I are adopting a family. Christmas is not only about the presents but it's about the greatest gift that could have ever been given and that is Jesus! The true reason for the season! Which is currently under construction. Jessica, at The Frilly Coconut, is currently making over my blog design. I am so excited! She is an absolute GEM! Please check back later for a new post. I will have some tasty treats available for your viewing pleasure!